What SEO website tools do you recommend? I have heard that it is important to know your site rank, web page rank, keyword density and how many incoming links you have to your website. How do I figure all this out? Are there specific website monitoring, reports or site analysis tools that I should be aware of? I have read many articles about why these site statistics are important, but none of the articles or newsletters really clearly tell you what tools are best for monitoring all of these stats. I know my website is doing fairly well because I get a few hundred visitors a day now and have started to make some money from Google adsense and a couple of hundred dollars a month as commission from a few affiliate links, but now I'm ready to learn more about how to keep track of how my site is doing in terms of other websites that are similar to my niche. What SEO website tools can you recommend? P.S. Since I am relatively new "webmaster", could you perhaps recommend the easiest site monitoring tools to use? 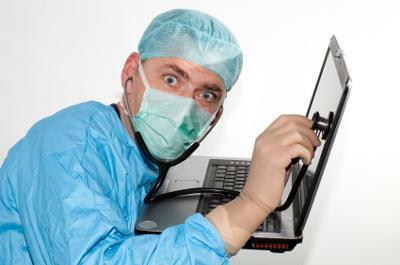 There are many SEO website tools to help you monitor the "health" of your website. Happily, there are several comprehensive ones that are free! 1. Google Analytics offers a plethora of information in most of the categories you identified, however the learning curve (I think) is rather steep. In other words, I don?t find it particularly intuitive to use or easy to navigate to find the stats I want to check out. 2. Alexa has a SEO toolbar which I find helpful but it only offers basic information. 3. FireFox has several different "plug-in" SEO tools that you can add to the toolbar. I would think that your web host would also have a variety of SEO Website Tools that will help you monitor your website. Try these out and if you need more help, feel free to post back.